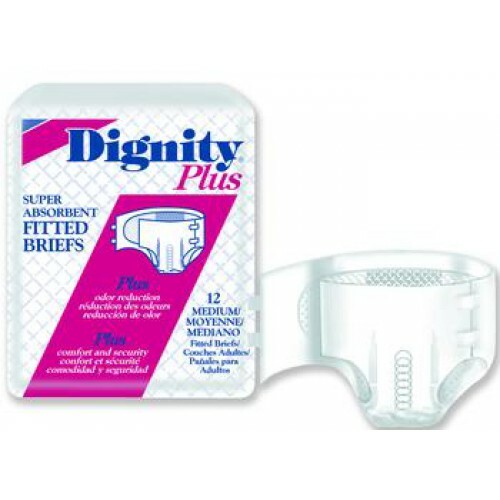 Dignity Plus Fitted Briefs are super absorbent for heavy protection. 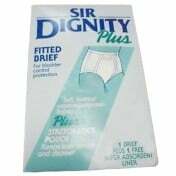 The Dignity Plus Adult Fitted Briefs features refastenable tape tabs, wetness indicator, and soft elastic gathers for a good fit. The absorbent material "gels" when wet to lock away moisture and reduce odors. 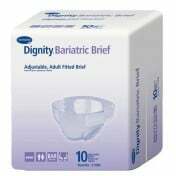 The Dignity Plus Adult Fitted Briefs are designed for heavy protection. Not as described. I ordered these thinking I would get a reusable undergarment. I got packs of disposable undergarments. I ordered these several months ago and was very pleased. 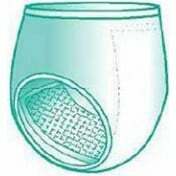 Super Absorbancy deisposable briefs - instead of the item described here. It's hard to get used to the fact that you have to wear briefs for leakage. Even so, if you have to, just get this. I like its body composed of cotton and polyester which makes it comfortable and elastic. Pretty absorbent and odor's well controlled. Thanks!